You can buy signed copies directly from me by clicking on the button below. Copies are $12.00 each with NO postage & handling charges or taxes. The book is also available from Amazon, but is priced at $12.95 and will still having postage & handling and taxes added to the price. On November 19, I had the wonderful privilege of talking to an audience of about 70 about my books. The focus was on my two works of fiction - Otter and Arthur and the Sword in the Stone and the just-released sequel Otter and Arthur and the Round Table. Of all the events I've done in support of my books, this has been my favorite. Why? Because it was at my kids' school. I talked for about 45 minutes about the writing process, how I published my books, when I started writing, and what inspired me to write. 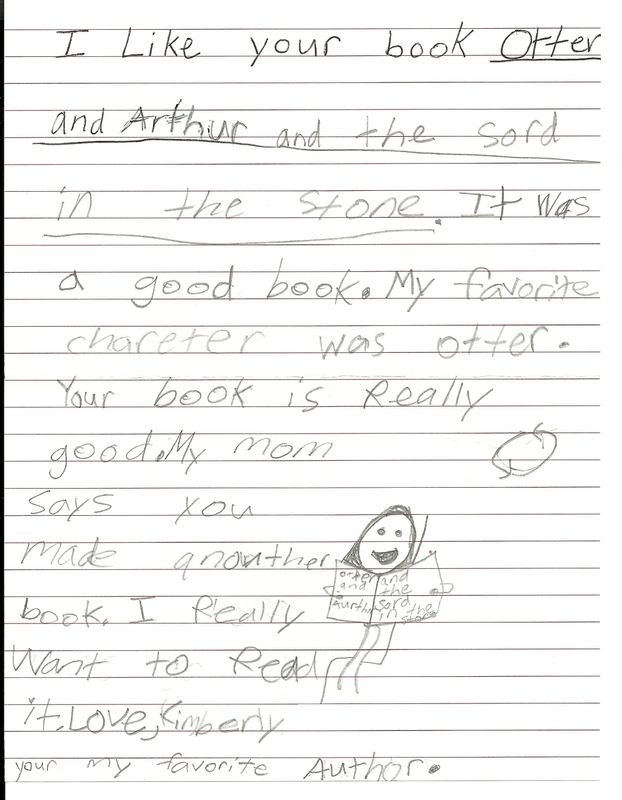 I asked the kids what they knew about King Arthur (the basis for my Otter and Arthur books). Afterward, I sold and signed books. My sons both got in on the act. In the photo at the left, my oldest son was helping collect money for books and distributing them. Meanwhile, at the end of the presentation my youngest son and his friends broke into an impromptu cheer for me! It was also a special treat to have Gen Goering, the cover artist, there. She signed books as well. Since she is also a parent at the school, it was nice to be able to showcase her work - including the original paintings which became the book covers. Thank you to everyone who came and made this a very memorable event for me! 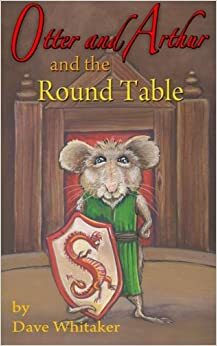 As I prepare to launch Otter and Arthur and the Round Table (cover image below), I want to express my gratitude to all the family, friends, and fans who supported the first book, Otter and Arthur and the Sword in the Stone. No matter how many books I write, I don't know if anything can top being told I am someone's favorite author! 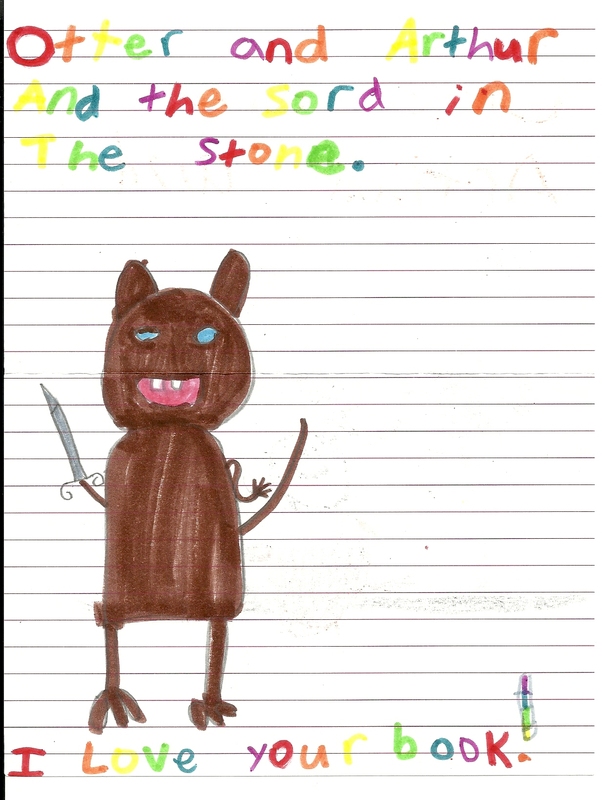 The picture above is Kimi's own version of the cover of Otter and Arthur and the Sword in the Stone. With apologies to Gen Goering who created the original artwork, I might have to replace it with Kimi's work in subsequent reprints! Otter and Arthur sequel coming soon! “Well, it just got interesting again recently,” I answered over my shoulder. Dindra, who had her arms wrapped around my waist, squeezed a little tighter and smiled. “No people – and few animals – get a bird’s eye view of this,” Ferdinand replied. Dindra and I laughed. The stones were as tall as four men standing on each other’s shoulders. An outer circle wrapped around five sets of larger stones. A vast empty field surrounded the massive monument. “How do you think humans moved those huge rocks?” Dindra wondered aloud. “Sometimes it is hard to believe people think they’re smarter than us,” Ferdinand added. He floated down and landed on one of the larger rocks in the center. I smiled upon seeing the two people who gave me hope for humanity: the sleeping figures of Arthur and Merlin. They had set up camp in the middle of the stone circle. A few glowing embers lingered from a campfire and two sleeping horses were tied to a smaller rock nearby. As I pondered some clever way to wake Arthur, Merlin sat up and looked straight at us and smiled. He seemed pleased, but unsurprised to see us. I introduced Dindra and told Arthur and Merlin how she saved my life. However, I was focused on the urgency of our situation. I was annoyed with Merlin for staying so calm. He’s probably had a vision of what’s going to happen, I thought. Arthur stirred the coals of the campfire. Dindra and I settled down on a nearby rock. ”Is that why Merlin brought you here?” I asked. Arthur nodded. “My father saw Stonehenge as a symbol of power and strength. That’s the kind of ruler he wanted to be. However, here’s my idea.” Arthur pulled his pack toward him. “Dindra, you’ll be interested to know it was Otter who made me think of this.” He pulled a loaf of bread out. “No,” Arthur laughed. “I thought you two might be hungry.” He tore off two chunks and handed them to us. “This was Otter’s idea,” he said, retrieving a piece of parchment. He laid it down and smoothed it out. It was a sketch of Stonehenge. “From a round stage in a mouse village?” I munched on my bread and stared at Arthur. Hmm… can’t do it alone. An idea was brewing about how I could get Excalibur back. Many of the tales associated with Arthurian legend aren’t actually stories featuring Arthur. One of the most famous is that of Sir Gawain and the Green Knight. It originated as a 14th-century Middle English poem. Its original author (sometimes known as “The Pearl Poet”) is unknown, but it has been retold in many forms. The essence of the story is that of a knight on a quest. A mysterious green knight appears at Camelot during a feast sometime around Christmas or New Year’s and offers up a challenge to the knights present. Sir Gawain takes up the challenge and chops off the head of the green knight. However, the knight then picks up his head, puts it back on, and informs Gawain that his half of the deal will be due in one year. The green knight then gets his turn to drop the axe on Gawain’s neck. True to his word, Gawain sets out the next fall to find the Green Chapel, the home of the green knight. He has several adventures, but the most notable is meeting up with Lord Bertilak who puts Gawain up in his castle and promises to show him to the Green Chapel when the time is right. Gawain’s chivalry is tested by the lord’s tempting wife. Gawain passes the test which leads to him surviving the confrontation with the green knight. It turns out the green knight is actually Bertilak. The tale is relevant to Otter and Arthur in that Gawain’s confrontation with the green knight – and a search for the Holy Grail – provides the inspiration for the as-yet unwritten third book in the series. Thanks to everyone who came out to my book signing at Shawnee Books & Toys! With more than 40 attendees and 18 book sales, it was a success. I did a couple of readings, signed books, and enjoyed mingling with friends, family, and brand new fans. While the focus was on my first work of children's fiction, Otter and Arthur and the Sword in the Stone, I also had a dozen other books with me. Thanks to my wife for providing treats, including (of course) a cheese plate to go with the mouse theme. I started out discussing the writing process and how the book came about. 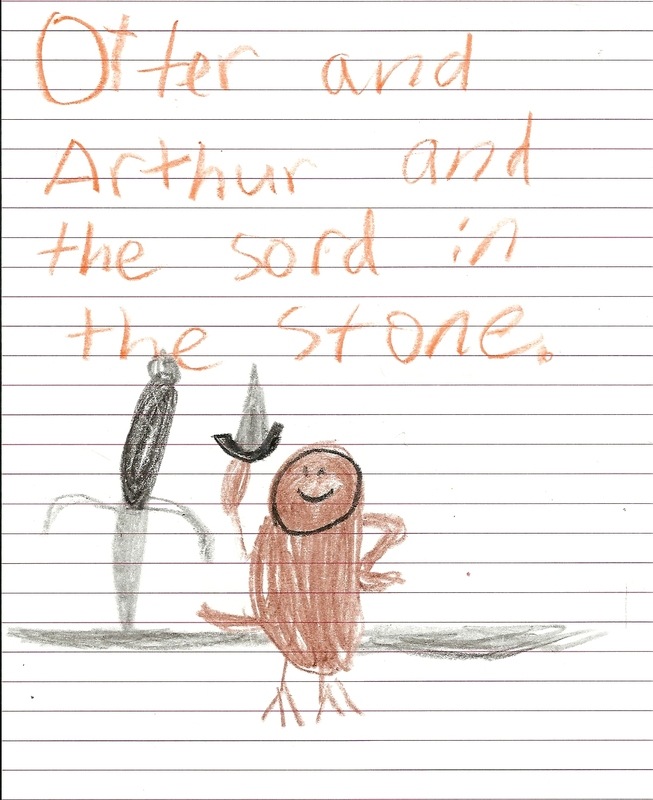 Then I did a couple of readings from Otter and Arthur and the Sword in the Stone. There were also a few door prizes and then I signed books. Then I got a chance to hand out with friends and family! and, of course, Shawnee Books & Toys for sponsoring the event! 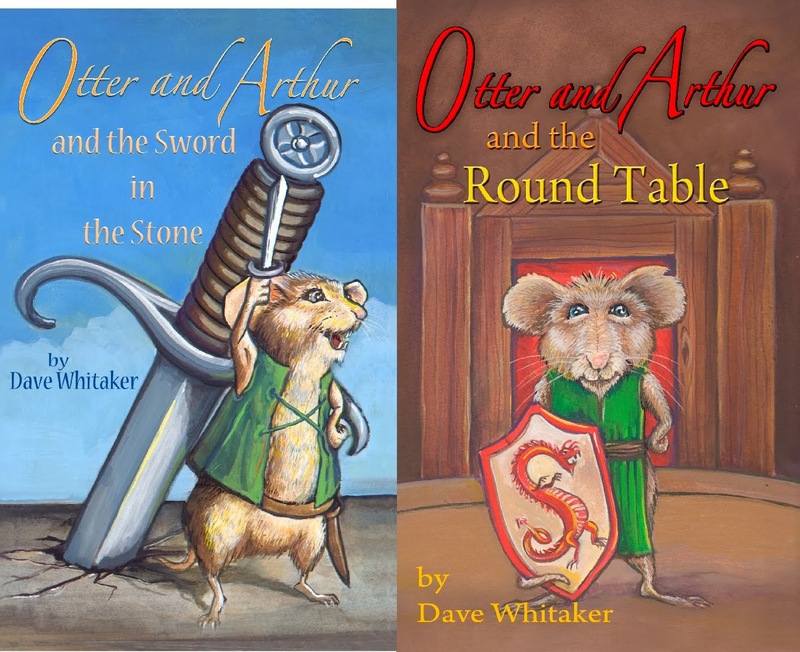 Event: Author Dave Whitaker will be signing copies of Otter and Arthur and the Sword in the Stone. You can sign up for the event on Facebook at Book Signing - Dave Whitaker - Otter and Arthur. Evidence has suggested that this Welsh prose tale dates to the 11th century, which could make it the earliest Arthurian tale. The work has been preserved in the manuscript, Red Book of Hergest, and in partial form in the White Book of Rhydderech. It has also been included as part of Lady Charlotte Guest’s collection of translations of eleven medieval Welsh prose stories, The Mabinogion. The story has been cited as an influence on J.R.R. Tolkien’s The Silmarillion. The story focuses on Culhwch, the son of a king, and Olwen, the daughter of a giant named Ysbaddaden. Culhwch turns to his famous cousin, Arthur, for assistance in winning the beautiful Olwen away from her father. Ysbaddaden has given Culhwch a series of seemingly impossible tasks to complete before he will grant his daughter’s hand in marriage. Some of the challenges and quests with which Culhwch is tasked carved a blueprint for some of the more famous Arthurian legends, including the search for the Holy Grail. The first four were finished, but Perceval was not. He finished only 9000 lines, but 54,000 lines were added by four other writers. These works, especially the latter two, are significant for introducing the character of Lancelot and the quest for the Holy Grail to Arthurian legend. Those tales were expanded in the Vulgate Cycle in the first half of the next century. The Vulgate Cycle consisted of five French prose volumes written in the early 13th century (c. 1225-1240) by an unknown author or authors, although they are sometimes attributed to Walter Map, a clerk for King Henry II. There is also speculation that one person may have outlined the cycles but several authors (possibly the Cistercian monks) wrote them. The Vulgate Cycle, also known as the Lancelot-Grail Cycle, makes Lancelot and the story of the Holy Grail the main focuses. The stories expanded on ideas introduced by French poet Chrétien de Troyes and may have derived from other sources as well, including Geoffrey of Monmouth. 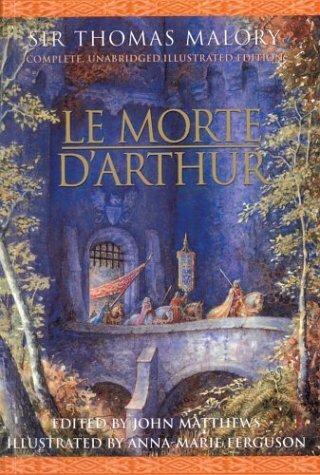 They are a major influence on Thomas Malory’s Le Morte d’Arthur. Estoire du Graal (History of the Grail), c. 1240. This is a reworking of French poet Robert de Boron’s Joseph of Arimathea (c. 1200), which keys in on the story of Joseph of Arimathea taking the Holy Grail to Britain. Estoire de Merlin (History of Merlin), aka Vulgate Merlin or Prose Merlin, c. 1240. This is a prose adaptation of Boron’s Merlin. It tells stories of Arthur’s early years, such as the circumstances of his birth, how he was raised by Sir Ector, educated by Merlin, and how he becomes king via the sword in the stone. The book ends with the death of Merlin at the hands of Nimue, the Lady of the Lake. Lancelot Propre (Lancelot Proper), c. 1225. The story focuses on Lancelot instead of King Arthur. Among the stories are the knight’s birth, how he was raised by the Lady of the Lake, how his befriending of the giant Galehaut, his rescue of Guinevere from abduction, and the birth of Lancelot’s son, Galahad. Queste del Saint Graal (Quest of the Holy Grail), c. 1230. Sir Galahad is introduced as the one pure knight who can sit at the Siege Perilous, the designated seat at King Arthur’s Round Table for the one who will lead the Grail quest. La Mort de roi Artu (The Death of King Arthur), c. 1235. This volume details the adultery of Lancelot and Guinevere and how Mordred (introduced here as Arthur’s son for the first time) destroyed Camelot and killed Arthur. Following the five volumes of the Vulgate Cycle were a collection which is known as the Post-Vulgate Cycle. 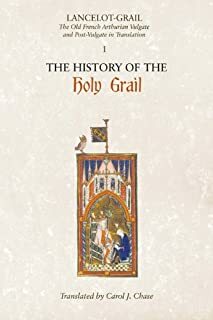 Written between 1230-1250, these were essentially a reworking of the Vulgate Cycle with parts omitted (much of the love affair between Lancelot and Guinevere), other parts emphasized more (Holy Grail), and some additional stories added (Tristan). Norris J. Lacy, editor. (1992-96). Lancelot-Grail: The Old French Arthurian Vulgate and Post Vulgate in Translation (5 volumes). New York: Garland. The story of the Holy Grail is one of the most prominent stories which features into Arthurian legend. Like many of the tales associated with King Arthur, it has a historical basis, but over generations of retelling the story, it has taken on different twists. Historically, the grail is considered to be some sort of container - generally a goblet - although this varies. There may be a basis of a cauldron with special powers in Celtic myth. 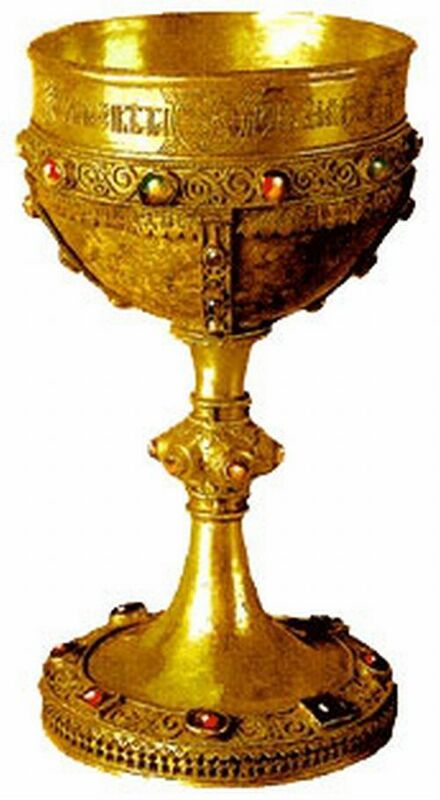 The grail also portrayed as the cup from which Christ drank at the Last Supper and/or also may have been the chalice used to collect his blood after his crucifixion. Joseph of Arimathea - who has been theorized to be Christ's great uncle - is, depending on the account, thought to be the person who brought the grail to England. It has specifically been tied to Glastonbury, which is generally considered the site of Avalon in Arthurian legend. It also considered to be the site of the first Christian church in England, built by Joseph of Arimathea. Chrétien de Troyes introduced the Holy Grail to Arthurian legend via his unfinished work, Le Conte du Graal (c. 1185), also known as Perceval le Gallois. The knight Perceval (later called Sir Galahad) encounters the Fisher King, who is stuck in limbo between life and death. Perceval is tasked with the quest of retrieving the Holy Grail, which will relieve the Fisher King of his suffering. French poet Robert de Boron also took up the tale with three books, of which only Joseph d' Arimathea (c. 1200), has survived in tact. It has been retold as one of the Vulgate cycles in Estoire de Saint Graal (c. 1240). Fragments of the second, Merlin, exist and the third, Perceval, is lost. Didot Perceval (c. 1205) is considered a version of the latter, written anonymously in prose. In Joseph d' Arimathea, Boron extends the story of Perceval by introducing the idea that he is the pure knight who can sit at Siege Perilous, a special seat at the Round Table. In the context of the Otter and Arthur stories, the grail is shaping up to be the centerpiece of a possible third book, Otter and Arthur and the Holy Grail. While there is only a rough sketch at this time, the basic premise of the story may be that it is Sir Gawain who seeks the Holy Grail, an idea first put forth in Heinrich von dem Türlin's poem Diu Crône (c. 1220), which in English means "The Crown." Justin E. Griffin (2001). The Holy Grail: The Legend, the History, the Evidence. McFarland & Company, Inc.: Jefferson, NC, and London. 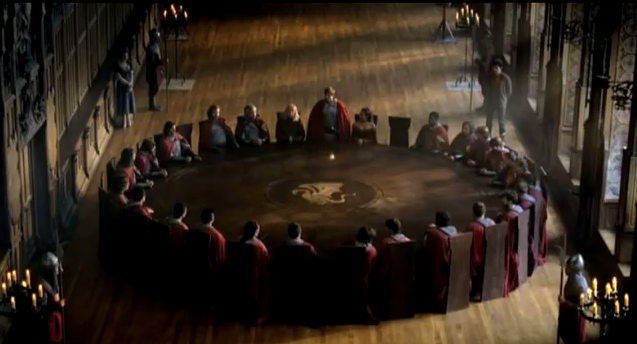 In Otter and Arthur and the Round Table, Lot is King Arthur's primary enemy. Lot had a bitter rivalry with Uther Pendragon, Arthur's father, and maintained his desire to destroy the family after Arthur came to power. This hatred against Arthur is deepened when Lot marries Arthur's sister, Morgan (a composite of Anna, Morgause, and Morgan Le Fay). They bear a child, Mordred, who will maintain the hatred against Arthur. Also see Morgan's character study. Geoffrey of Monmouth wrote Historia Regum Britanniae (The History of the Kings of Britain) sometime between 1135 and 1139. It is, as Wikipedia says, a “pseudohistorical account of British history”beginning with the settlement of Britain and continuing until the Anglo-Saxons assumed control of Britain around the 7th century. It is significant in Arthurian literature for placing King Arthur in the context of British monarch history. According to Geoffrey, Vortigern conspired with the Saxons to usurp the throne. Aurelius, the rightful heir, wrested back power and was succeeded by his brother, Uther Pendragon, who was the father of King Arthur. Geoffrey introduced many of the ideas which would become benchmarks for many Arthurian stories to come. He created characters such as Merlin, Uther Pendragon, and Guinevere. He also told stories of Arthur's conception at Tintagel, Excalibur, and the king's final days. According to Geoffrey, Arthur assumed the throne at age 15 when his father dies. The new king fought a series of twelve battles against the Saxon barbarians, creating an empire including Ireland, Iceland, and the Orkney Islands. Following twelve years of peace, he conquered Norway, Denmark, and Gaul. As he prepared to march on Rome, Arthur learned that his nephew Mordred, whom he left in charge of Britain, married Guinevere and seized the throne. Arthur returned to Britain and killed Mordred, but was left mortally wounded. He handed the crown to his kinsman Constantine and was taken to the isle of Avalon to be healed, but was never seen again. 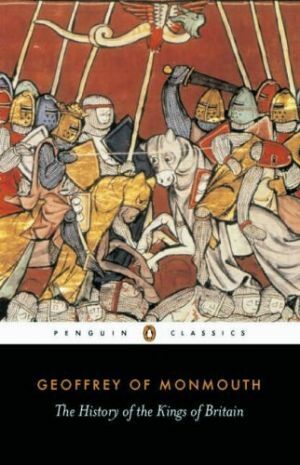 Sir Thomas Malory’s Le Morte d’Arthur was one of the earliest printed books in England and is probably the best-known work of English-language Arthurian literature today. It was originally written as eight books and then published as 21 books by William Caxton in 1485. Malory likely started work on the project in the early 1450s while he was in prison and completed it by 1470. His aim was to create a comprehensive and authoritative collection of Arthurian stories. To that end, he largely translated the French Vulgate Cycle and compiled them with other Middle English sources.